Growing in Grace Podcast: 365. Saints or Sinners? Before the cross of Christ, everyone was declared to be a sinner. No one could claim righteousness. 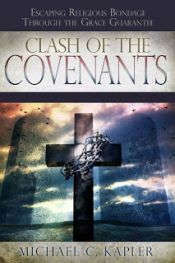 The good news of this new covenant is that believers are no longer called sinners but saints. You have a new identity and a new nature in Him. The old nature passed away. We still have the flesh to deal with but God has done everything through Christ to bring us complete forgiveness and allowed us to be partakers of the divine nature. Thanks guys for this amazing message, I have been contemplating on this concept for awhile now. I want to thank you for sharing this it so good that I can't help but share it. Okay I know the Bible says in the epistles that in Adam, all were made sinners but in the second Adam(Jesus) all were made righteous. Does this mean that unbelievers are saints just without knowing? Is it a experimental thing? If All were in Adam, would'nt that apply that ALL are in Christ whether they believe it or not? What God has done, He has done for Humanity, so is there really a difference with sinners and saints? If it is not about what you do,is it by what you believe? Please clear that up for me. Thanks for all the messages, I love growing more in Grace. That's a great question, Mike. There has been a lot of debate in recent times about all of this, and it's great to discuss. My own personal opinion is that, just as we often say on this program, we can't take one verse and build a doctrine out of it, or several lone verses and build a doctrine out of it, especially when there are many other verses and passages that seem to make the opposite case. That's what I see with this particular point of view. I see Paul saying that there are people who are "in Christ" and that there are others who are not in Christ. I see Paul addressing the people of the church as "saints," while saying that others are "of the world" or "outside" and other such statements about non-believers. Again, as I look at all of the New Testament writings, I personally see a clear distinction being made between those who are in Christ and those who are not. The objective of evangelism is to tell people the good news of the finished work of Christ so that they can believe and be justified (made righteous) and claim their right to become a child of God (John 1:12). Oksy I sorta understanding what you are seeing. I believe that it a experimental thing. It is like God invited humanity to a dance but not everyone dances(fellowship) but he still calls them. He has called everyone. But they will not get to benefit for it because they do not believe. Even in Timothy, it says that he is the Savior of all men, especially to them that believe. I know what God has done, He has done for humanity. The church are messengers of the gospel, to save the lost. But it does not change the fact that what God has done, He did not did it just for the Jews but everyone has came near by the blood of Christ. Okay thanks for your explanation, I have to study it more to get a better understanding. However I appreciate your answer and thankful for this podcast, it is helping me more and more. Yes indeed Howard, the NT scriptures do indeed talk about us needing to "receive" Christ and what He has done for us. One of the points made in the Facebook article that I posted, if I may expand on it slightly, is, if everybody has the Spirit and/or has been made alive with Christ Jesus, then what happens to them in eternity after they've rejected Christ (not received Him)? Either everybody is saved for all time and eternity (which is universalism), or somehow they have been made alive with Christ but will be separated from Him forever. I personally see the scriptures as saying that not all have been made alive with Christ, and not all will be. I was always taught a 'Potential Gospel' which meant that you are only forgiven,reconciled,justified, etc if you believe you are. But the bible says the opposite. If in Adam all were made sinners, and Christ is the second Adam, would'nt that mean that all are made righteous? Is it up to a person to 'make' something true by receiving. We did not receive Christ to MAKE somthing, we were just responding to what was ALREADY TRUE from Eterity. Now there are a few passages that suggests to not walk according to the world, or in darkness, tc. I understand that- those are terms for unbelievers. But unbelievers are only dead to the reality that they have been made alive to Christ. It is like they can walk in a room full of light but because they are blind, they cannot see anything. However I am saying that just because you do not believe in the finihsed work of Christ, that does not make it less void. I hope that it makes sense to you, I don't cliam to know all the answers but I am studying more and more. 5 For if we have been united with him in a death like his, we will certainly also be united with him in a resurrection like his. 6 For we know that our old self was crucified with him so that the body ruled by sin might be done away with,that we should no longer be slaves to sin— 7 because anyone who has died has been set free from sin. 8 Now if we died with Christ, we believe that we will also live with him. 9 For we know that since Christ was raised from the dead, he cannot die again; death no longer has mastery over him. 10 The death he died, he died to sin once for all; but the life he lives, he lives to God.11 In the same way, count yourselves dead to sin but alive to God in Christ Jesus. If you had a sibling that died here and you were close, not wanting this death, and God showed up and gave you permission to raise this sibling back to life, would you raise this sibling back to life? pointing out 1 John 3:3 we are already made pure in bleif of the ressurection where life eternal is. I discovered this years ago and went back and forth with the flesh alive and then dead, so all i can say is just hang in there and excercise truth. working out your own salvation with fear and trembling, for it is god that works it out for you according to his good will, he made you Holy and as long as you give up tryiong to stop sin, then he is able to stop it in your stead. Now as you grow though you will get a messenger of Satan to buffet you as Paul had gotten, every time you think you got it all together, one gets reminded of their need for God to not only live in them but more importantly through them 2Corinthians 12:7 and on. So will you also glory in your iniquities? Thanks for the link to the article. As it's somewhat of a long article, I only took time to skim it over and from what I get out of it, I tend to agree with the overall gist of it. Christ's sacrifice provided for the forgiveness of the sins of all of mankind, and as the article says, forgiveness of sins is not the same as salvation. I'm not sure if the article mentions this, but I'll just add that the forgiveness of sins was simply the "prerequisite" to what was really needed in the long run. The real problem is that we were dead (to God) and needed life. The forgiveness of sins paved the way for us to believe and to be joined together with Christ in His resurrection, and therefore made alive together with Him, but being forgiven is indeed not the same as being made alive together with Christ. Joel, that is exactly what I believe. So for example, my dad and sisters do not believe in Christ but I believe that their sins have been taken away along with everyone else in the entire world. (if sin wasn't out of the picture no-one would have access to God) But even though they are forgiven, they are not born-again. At this point none of them would go to heaven if they died right now. Only when they trust in Jesus as their Savior do they recieve His life (new-spirit). I believe that when people die now not having trusted in Christ, don't go to hell for their sins because Christ has taken away the sins of the world. They go because no-one who is not born-again can enter the kingdom of God. They died with Christ 2000 years ago but not recieveing Him (his life) cannot possibly enter heaven. Reconciliation of the world = God not angry anymore because Christ took away the sins of the World. Exactly what you said "being forgiven does not mean someone is saved" The whole world is walking around "forgiven" but that doesn't mean they are going to heaven. The world couldn't have been reconciled to God had the "sin debt" hadn't been taken out of the way. As you said, it was the prerequisite to what is needed in the long run. Before Adam sinned and passed down the sin nature to all of mankind, He was spiritually alive to God. So what has been bugging me the most is that so many people (in my opinion) are sharing the wrong gospel. They tell people that Jesus died for their sins on the cross, and that they repent and accept Jesus as their Savior that their sins will be forgiven. This is what one other guy put it as the "potential" gospel. That you are only forgiven when you believe/recieve. Shouldn't we be telling people the real gospel? That God was in Christ reconciling the world to himself,not counting mens sins against them. They don't recieve forgiveness when they believe, they recieve His life. But instead people are told a gospel that they have to repent of their sins in order to be able to come to Christ. Sorry for the long post, I am not good at writing my thought down, but I feel like things become clearer as I do. The article I sent you was all about the resurrection. Had Christ not been raised, we would all still be dead in our sin nature. Universal reconciliation of the world back to God Himself is a historic reality, but salvation comes through His life.